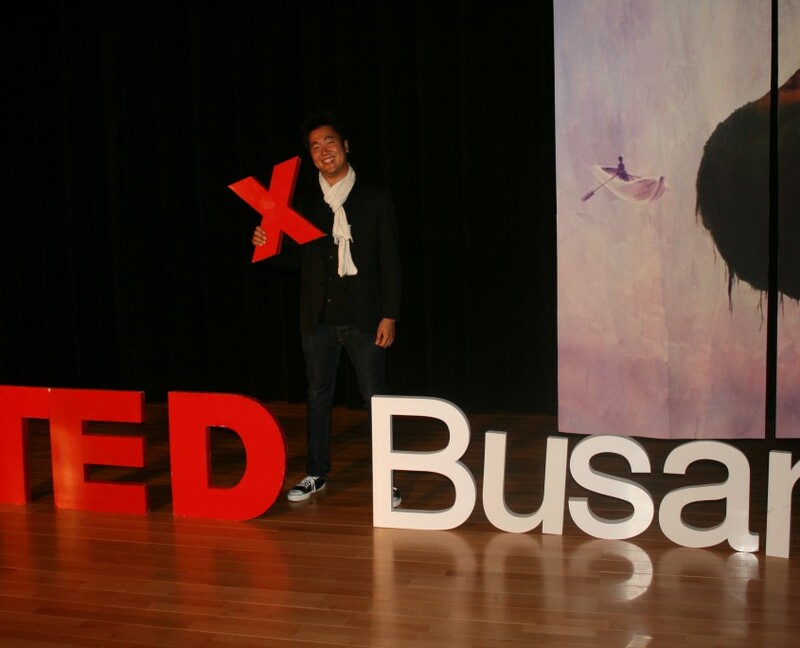 Hi, my name is Daniel, and I create meaningful solutions for the future. I help organisations become more innovative – by transforming culture, facilitating processes, and designing experiences. 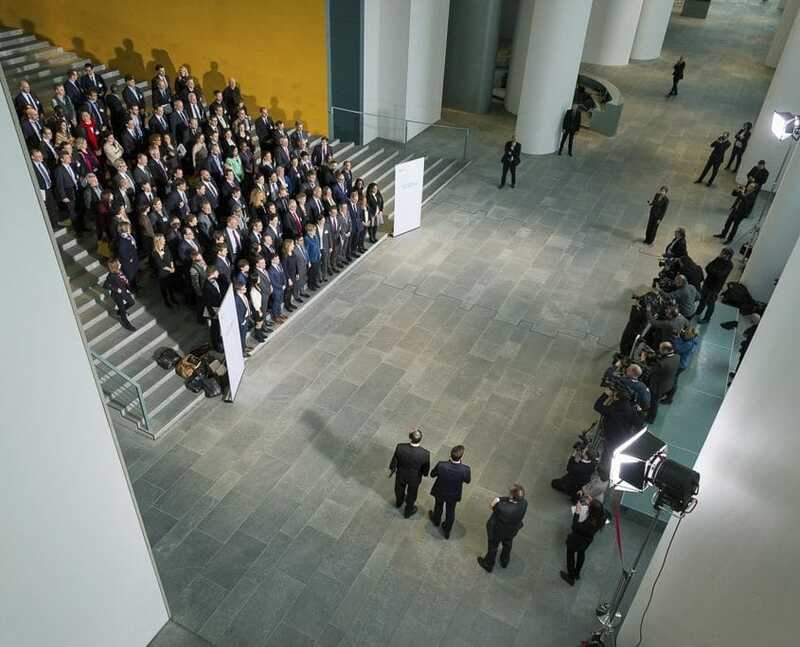 I have helped actors in both the private and public sector create new products and services to answer global challenges. As a third-culture kid [? ], I’m at home in design thinking, technology, and sustainability. 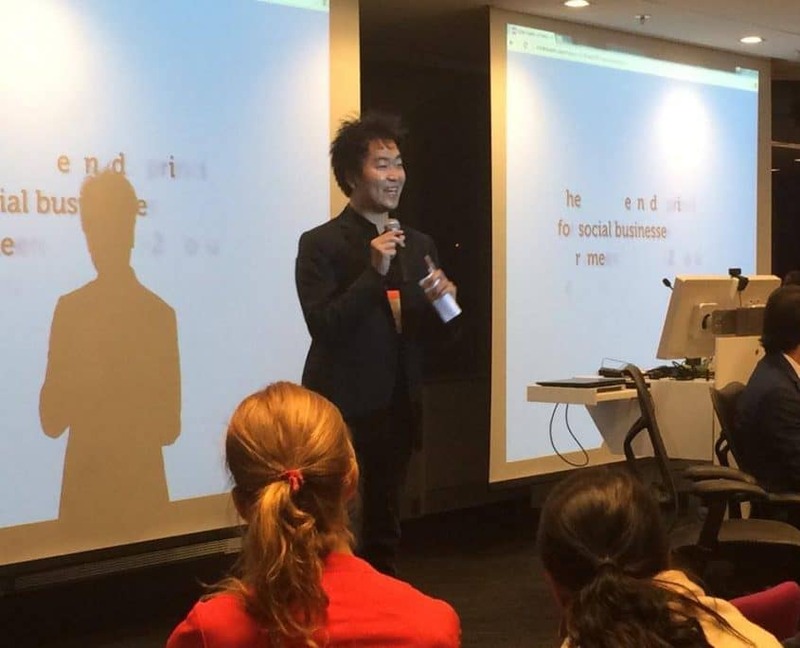 I love advising social enterprises and young innovators, and frequently travel the world to listen to communities, speak at events, and work with teams. I’m passionate about building communities that empower people to collaborate and create. How can I help you? Contact me to find out, or browse my page to see if something sparks your curiosity! 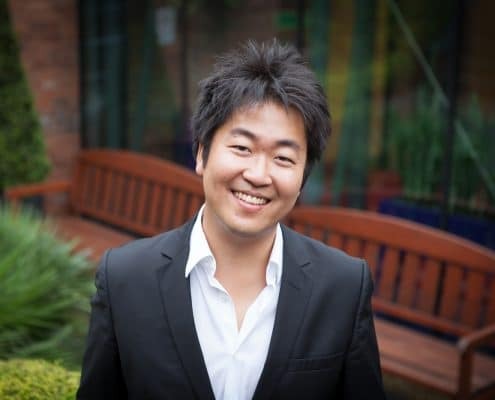 Makesense is a dynamic, global, people-powered community that connects engaged citizens, passionate entrepreneurs and forward-looking organizations to solve social issues. We aim at inspiring, enabling, and accelerating positive impact through tailor made journeys for each stakeholder we engage with. In 7 years, we have helped 2 800 projects, 35 000 citizens and 100 corporations. 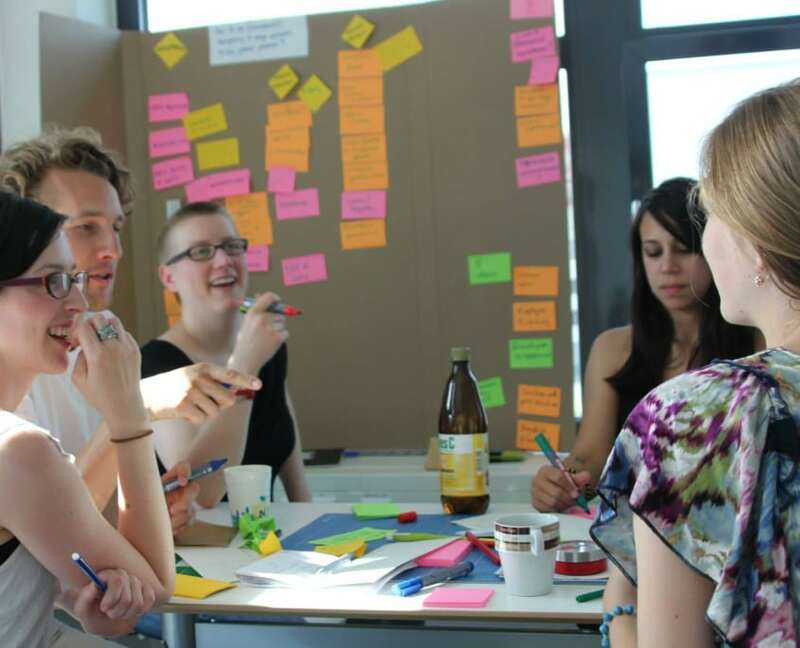 I have been co-building MakeSense Berlin since 2011 into one of the most active hotspots of this global network, contributing to numerous innovations adapted by other regions – most notably the SenseCamp. 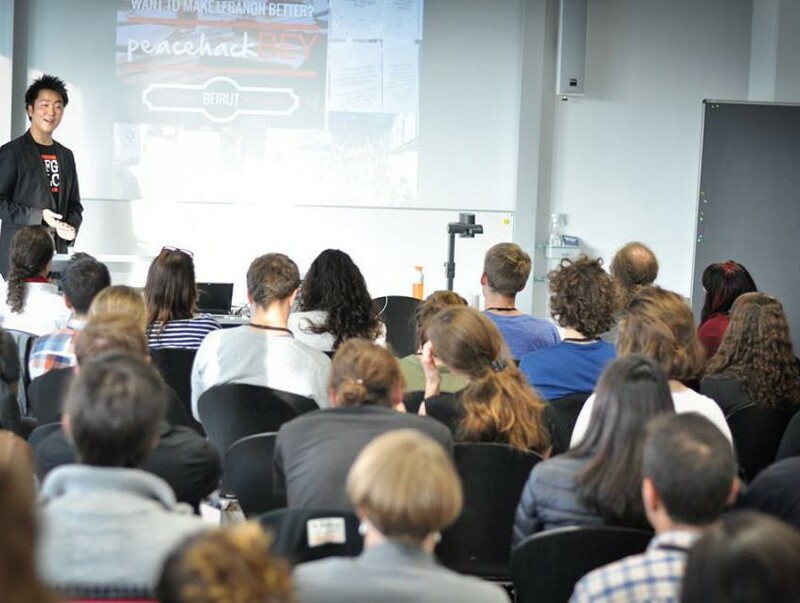 SenseCamp is an unconference for social entrepreneurship and innovation, curated by the global MakeSense network. 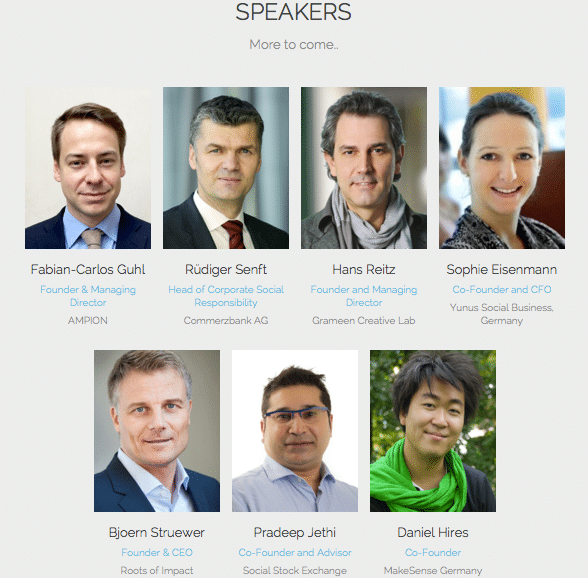 After we launched it in 2012 in Berlin, SenseCamps have spread all over the world, from São Paulo to Singapore, and have featured speakers such as Prof. Muhammad Yunus, Liam Black, Charles Eisenstein, or Rodrigo Baggio. The Silent Climate Parade is Germany’s largest annual climate march. It is a Silent Disco parade – with wireless headphones and DJs on electric cars – that creates a quiet urban space with dancing people raising awareness about climate change. We are not aggressive or moralizing: We create a sight that is so beautiful that it inspires the people around us to join and become part of our movement. I co-founded the e.V. that has been iterating this entirely new way of demonstrating since 2010, inspiring a group in Mainz to start their own SCP. Funded through crowdfunding, sponsors & on-location contributions, we counted 4000 people in 2014. More projects and innovations i have created over the years. Choose from the menu on the right to see different projects. I developed the concept and raised the funding for the CLIMPAX project, a real-time climate-impact rating of investment funds. Existing socially-responsible investment (SRI) funds only apply ethical criteria to their strategy, which stops investments into undesirable companies or assets in a binary go/no-go logic. However, professional and retail investors alike do not have information on the real climate impact of the actual investment portfolio at any given time. CLIMPAX fixes this. It establishes a scale-based climate performance rating that allows investors to make decisions informed by the climate impact of an investment. This information is critical particularly for the growing divestment movement to accelerate a decarbonized future. 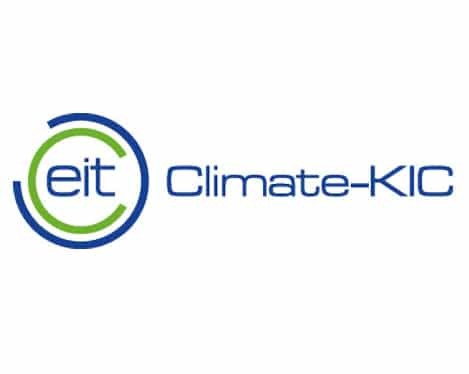 I led a consortium of CDP, the South Pole Group, the University of Hamburg, and others to successfully apply for funding as a Climate-KIC Innovation project. CLIMPAX turned into the award-winning Climetrics project. At the non-profit Carbon Disclosure Project, I developed new concepts to make environmental information a practical and meaningful decision-making factor for consumers. 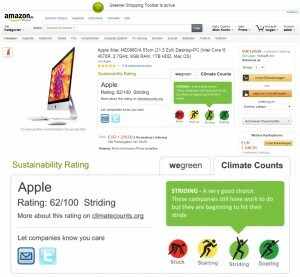 The key objective was to make environmental information as easily available as the price or product quality information. The concept for the Green Fairy greener-shopping plugin focused on smoothly integrating with the online shopping experience: After installing the tool once in a user’s browser with 3 simple clicks, the customer automatically sees environmental information on the product in a simple traffic-light logic directly on the online shopping website, with a link to more detailed information. To develop this, I joined a hackathon where we developed a working prototype for browsing amazon.com on a chrome browser, which ended up in the global #Hack4Good finale. Subsequently, a branded version of this prototype was rolled out commercially by the Berlin startup wegreen who joined our team after hearing my pitch. In 2008, renewable energy was a widespread option for consumers. 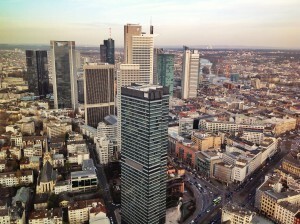 However, there was no environmentally-friendly consumer alternative to natural gas, Germany’s primary source for heating. With green consumers on the rise, I developed a solution to reduce climate impact that works in addition to heating smarter. This was economically viable due to a pioneering B2B2C strategy that avoided large transaction costs from individual orders. 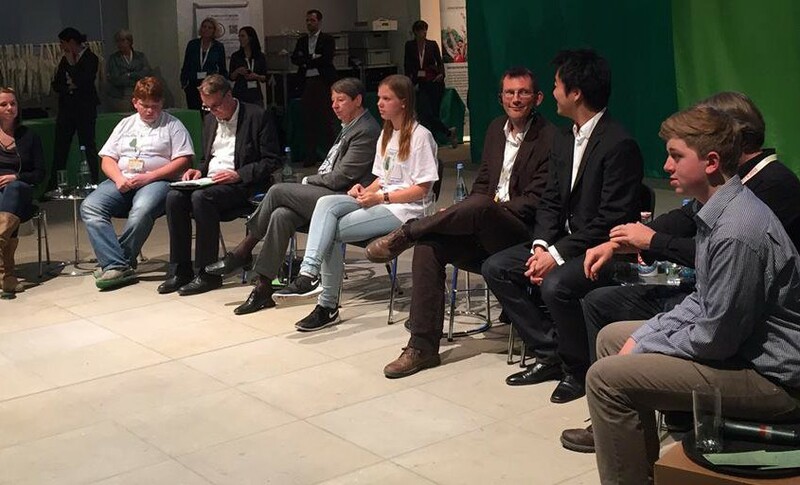 I developed, marketed and sold Green Gas, a turn-key carbon neutral solution, to utilities all over Germany. With Green Gas, utilities give their customers an easy way to offset the climate impact of their unavoidable emissions. Today, it is still a staple offer of many utilities and natural gas providers. Minimal Footprint Hedonists develop concepts that raise awareness about energy consumption and reduce the need for unsustainable electricity. Inspired by initiatives such as Fahrraddisko or Pleasant Revolution, we wanted to build a bike-generator for soundsystems in Berlin, to avoid emissions from transporting systems from other cities. Through iterative prototyping with many upcycled parts, MFH developed a working product that can replace fossil-fuel generators at music events and adds a layer of interactivity that turns guests into active contributors. 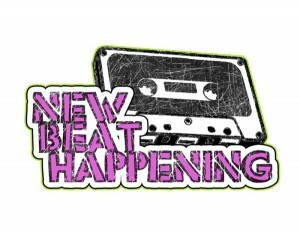 During my studies at the University of Michigan, I created a new concert series combining three concert locations into one live music brand, New Beat Happening. With a new booking, event, and marketing concept, I increased attendance by 4X in one year, with feature concerts bringing in national music bands. To ensure the program’s sustainability, I recruited and trained a team of volunteers to continue the project for future student generations. A culture of sharing is part of my DNA and with my background in creating and working with innovative projects, I have the privilege of sharing my insights with audiences around the world. Knowledge and expertise is worth little if it is not passed on. In my mission to help communities drive action, I frequently host workshops, coach teams, and advise on projects. I also enjoy ‘training the trainers’ to support others on their journey to empower others. These engagements have taken me all over the world, such as India, Italy, Germany, France, Singapore, South Africa, South Korea, Spain, Sweden, UK, and the US. I also co-authored a book on how to start projects effectively, Phase 0 – How to Make Some Action. I am always looking for inspired people to work with. I love expanding my network of freelancers for client projects, or meeting project partners with complimentary skills and resources. Tell me about your ideas if you would like to create something together! I offer consulting to make projects successful. I can help with e.g. 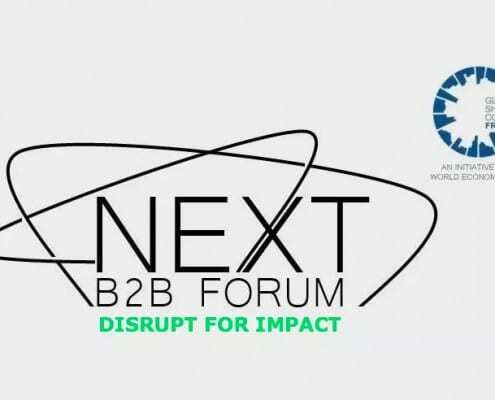 innovation and change management, B2B business development, strategic B2C marketing and communication, community and volunteer management, project management, as well as event and experience design. 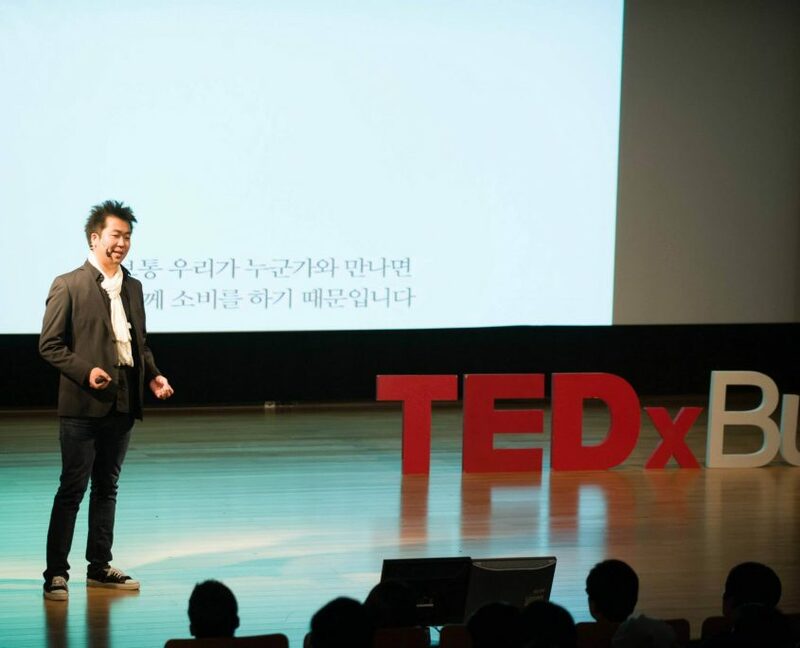 I focus on bringing value to the audience, so each talk is unique. 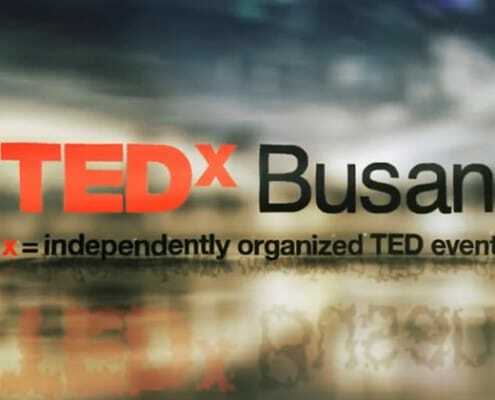 My talks focus on relevant topics from my expertise fields and draw upon my experience from different projects, e.g. social innovation in the digital age, building inspiring and functioning communities, or the future of work, living and playing. 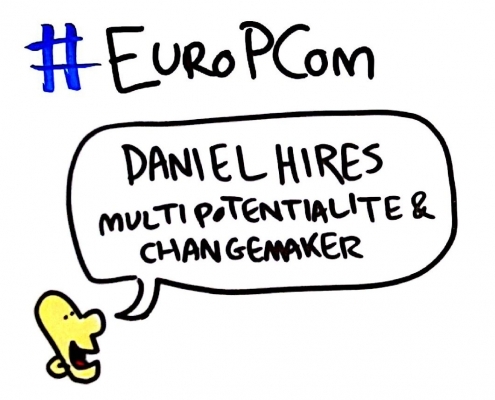 I gave a presentation on “Bottom-Up Lessons” in the session on “How to lobby for EU democracy” at the 6th edition of the EuroPCom in Brussels, the European Conference on Public Communication. 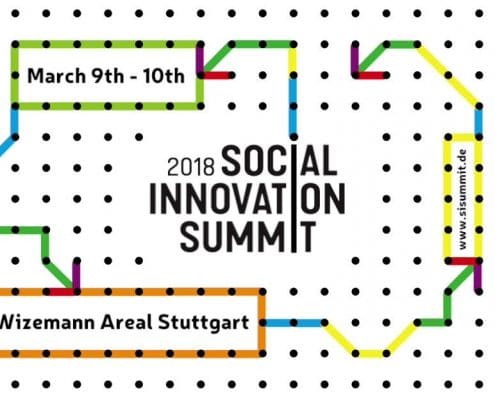 I have spoken at three Social Innovation Summits organized in Zurich (2015, 2016) and Stuttgart (2018). 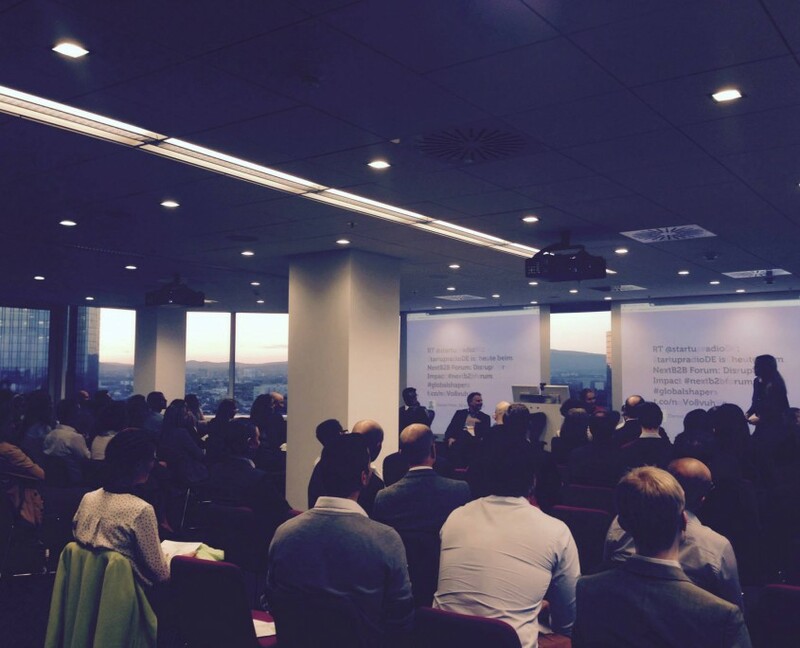 In 2015, I spoke about “Engagement in the Digital Age” – please find the slides at slideshare. 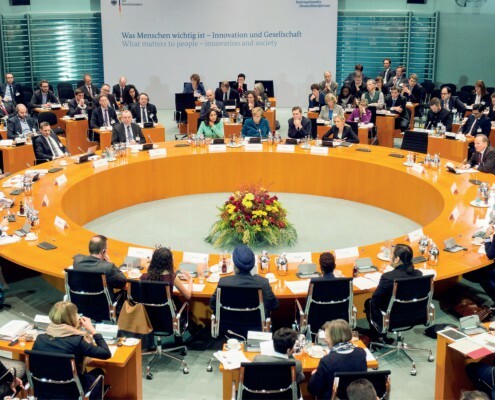 The German Environmental Ministry BMUB invited me to be a speaker in a fishbowl discussion with Barbara Hendricks, Federal Minister for the Environment in Hannover. At the climate unconference taking place the day before, I moderated a bilingual discussion with Rob Hopkins, founder of Transition Towns movement. 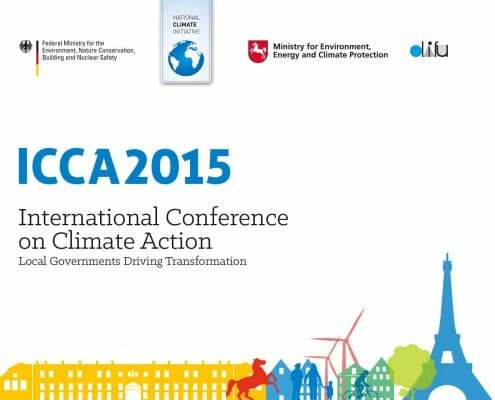 I support various teams at Climate-KIC, Europe’s largest public-private innovation partnership. Since 2013 I am a trainer on the “Journey” summer school, and since 2016 a coach for the Greenhouse pre-incubation programme. 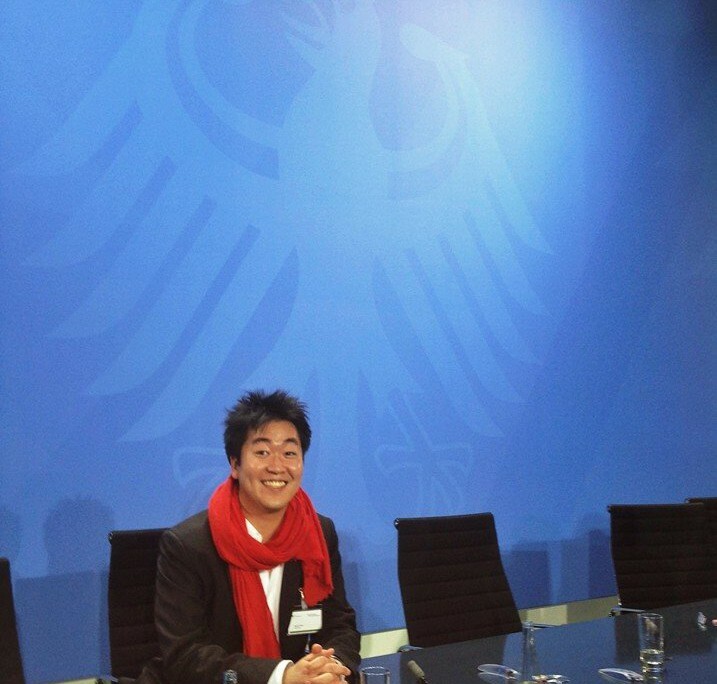 In 2014, I participated in the Expert Jury at the Final Pitch of The Journey finals. 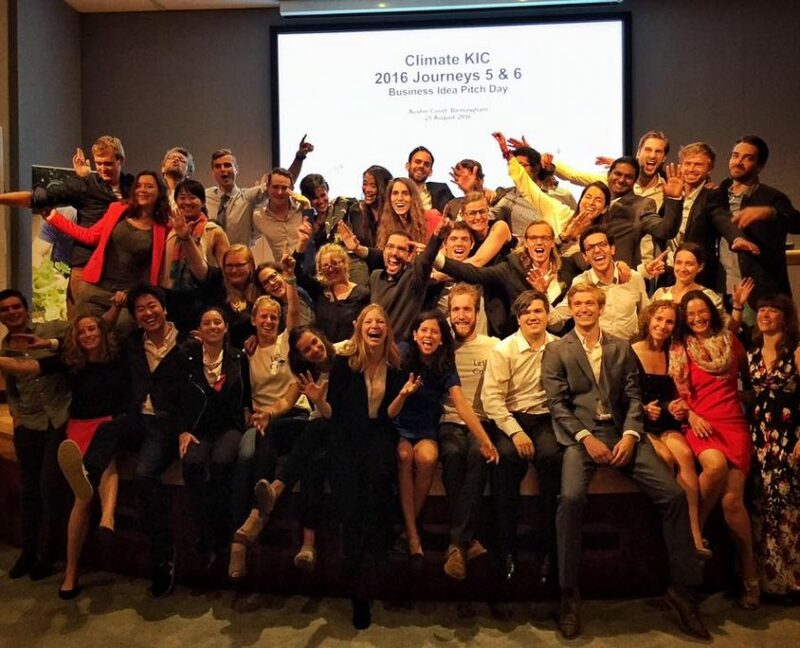 In 2016, I joined the “Journey” summer school as a Business coach, supporting 8 teams of 36 Master-level students with their green business plans for 5-weeks in Hamburg, London, and Birmingham. 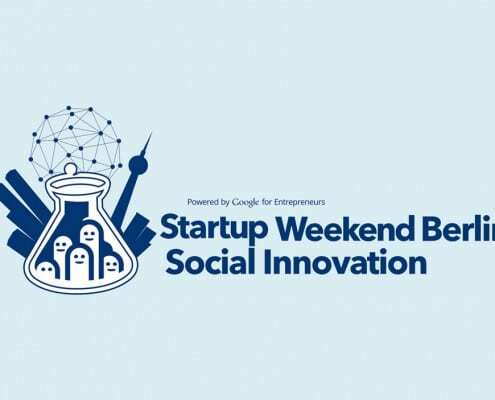 I led the organization of the Startup Weekend Social Innovation 2015 in Berlin. 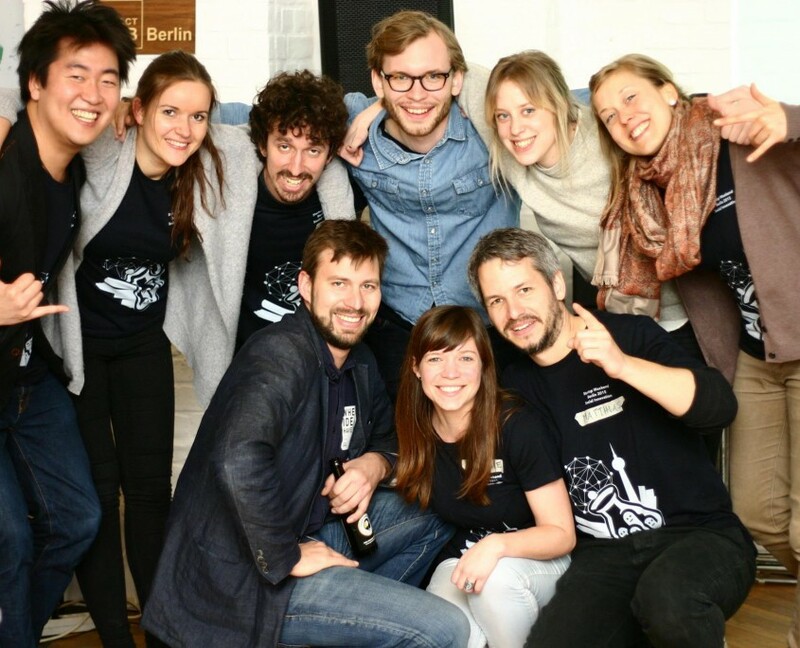 In just one weekend, 75 participants met each other, pitched first ideas, formed teams, and prototyped and tested their concepts that were presented to an expert jury and audience on Sunday evening. One of the concepts developed was WeConnect, a still active project to bring refugees and locals together for social activities. 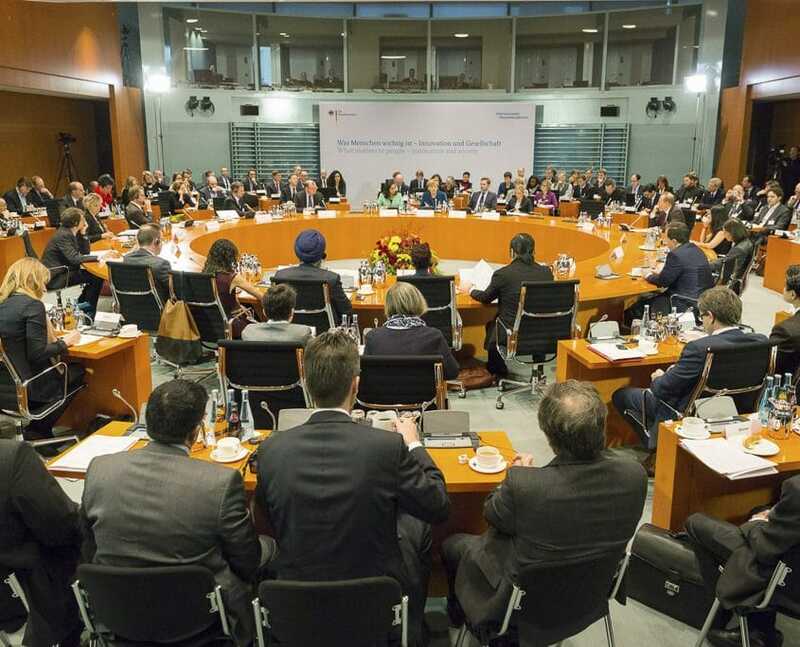 I was invited to join Chancellor Merkel’s International German Forum to spend two days to discuss “What matters to people – innovation and society” with experts from social innovation and impact entrepreneurship from around the world. 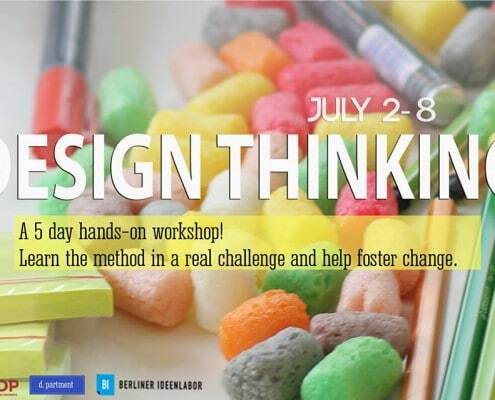 I organized and coached a 5-day seminar to experience and learn Design Thinking and interdisciplinary creative teamwork, in collaboration with the Berliner Ideenlabor. 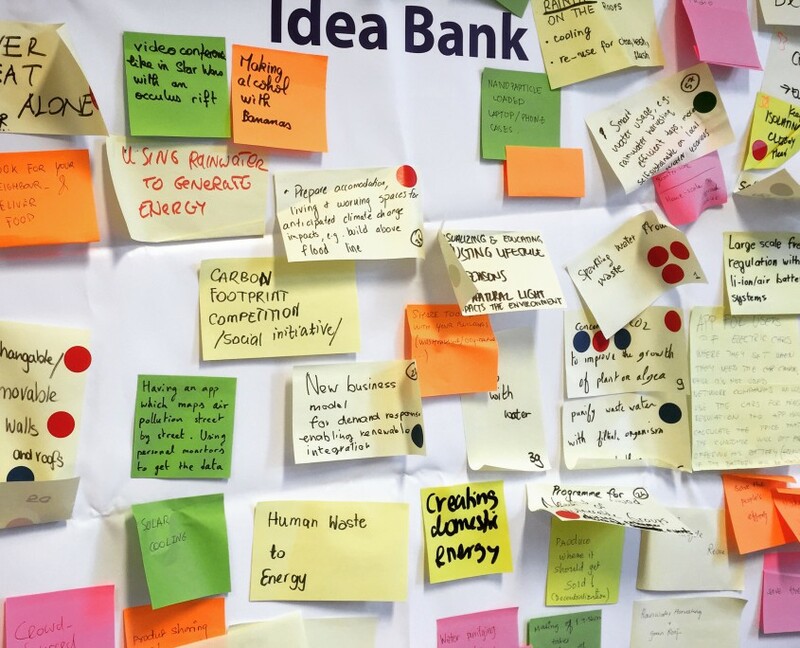 Young professionals spent five days that covered the entire Design Thinking process and applied it to a hands-on project on using data to encourage sustainable consumption.